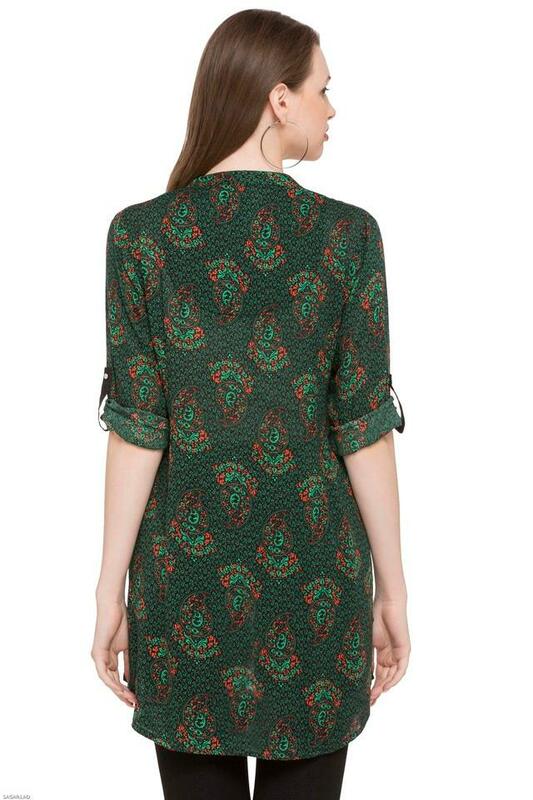 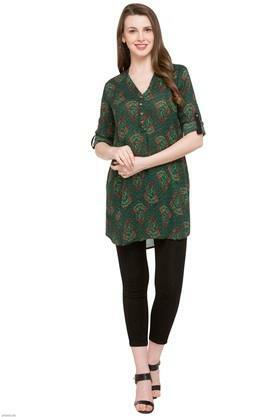 Stitched with a pretty design, the kurta from Sanaa makes you look more attractive. Featuring rollup sleeves and an appealing printed pattern along with V-neck, this kurta is sure to liven up your appearance. Arrive in a standout style with this kurta. Wear it with a leggings with high heels. 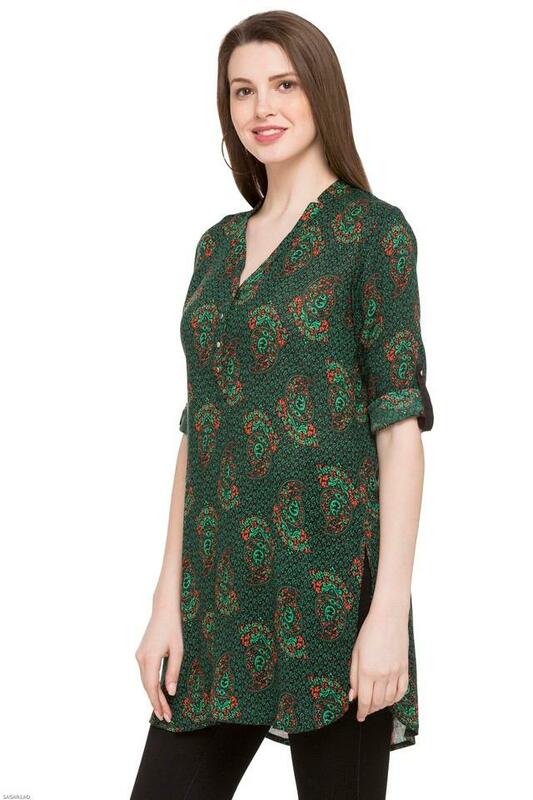 frankly speaking i did not expect this kurti to be this great. 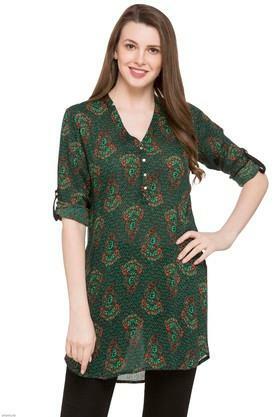 I ordered many kurtis and I can say I took the right decision to go for this.